Minglanilla, Cebu will celebrate its annual Sugat Kabanhawan Festival 2015. 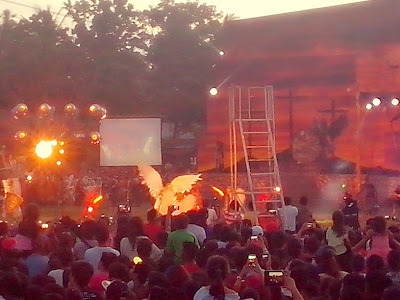 Minglanilla was tagged at Sugat Capital in the Philippines because of their grand presentation and re-enactment of the life Jesus when he was crucified. Over 100,000 people are estimated to visit or watch Sugat in Minglanilla. Sugat Kabanhawan Festival in Minglanilla will have its grand dance presentation from different schools in town on Easter Sunday, April 5, 2015. It also includes carabao racing, dance competition and more.
" BASTA SUGAT - MINGLANILLA ANG SIKAT"